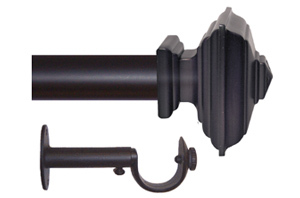 Pre-Pak Set Includes: 1 Telescoping Metal Rod 1-1/4" diameter, adjustable depth brackets, 2 finials. Available in Medium and LargeSizes. Available in Black and Pewter.